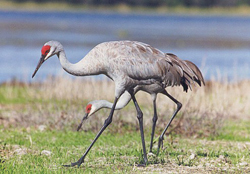 Winter is the season to enjoy the spectacular migratory bird life along the famed Pacific Flyway, which extends. California’s Central Valley hosts dozens of premier wildlife viewing sites, where you’ll see Snow Geese, Tundra Swans, Sandhill Cranes, and a vast array of ducks and waterfowl that winter in the rice fields and wildlife refuges throughout the area. A wildlife festival is the perfect way to learn more about these wildlife viewing areas. The 14th Annual Snow Goose Festival in Chico takes place January 24-27, celebrating the arrival of thousands of waterfowl that come from the north to spend their winters in the temperate North Valley climate. This four-day event offers an extensive list of field trips and interactive exhibits for kids and adults at the Masonic Family Center. The 6th Annual Galt Winter Bird Festival on January 26 offers photo and wildlife-viewing tours, a children’s tour, photo workshops and free children’s art and crafts. On February 9th and 10th, the 17th Annual San Francisco Bay Flyway Festival offers a unique opportunity to explore Mare Island on the north end of the bay, with guided hikes and tours, kid’s activities, and a wildlife art show. California Duck Days, held at the Yolo Basin Wildlife Area headquarters in Davis on February 23, includes tours to seldom-seen areas of the wildlife area, an opportunity to go fishing and hold just-hatched baby ducklings plus dozens of interactive activities including duck calling, decoy carving and painting. A great resource for planning your route is the website of California Watchable Wildlife, CAWatchableWildlife.org. This website features the state’s top wildlife viewing areas, which are marked by Watchable Wildlife’s brown binocular logo signs, along with a calendar of festivals and events throughout the state.